Installing a roof isn’t a one-day job. Once the installation starts, you might be without a real roof for up to a week, which is exactly why you can’t install a new roof at just any time of the year! Issues like rain and snow can set the project back. And, when your business doesn’t have a roof, setbacks like this aren’t an option. To help, we’ve put together this season by season guide to help you discover the best time of year to install metal roofing in northeast Ohio. Keep reading! Getting the perfect roof can take effort, but with the right contractors by your side, you can get the roof you always wanted. Whether you are trying to get a roof installed on a brand new home or are relying on roofing services to spruce up the space you already have, we can help. 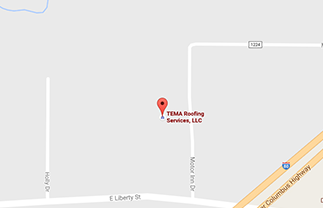 Tema Roofing Services offers a variety of useful services that Akron residents and businesses can take advantage of. We are a family owned company that has over 100 years of experience in the area. With our professional approach, you can ensure that you are getting the roofing service you need every time.